Company founder Jack Appelt’s roots grew deep in the refrigeration and air conditioning industry. Growing up, he developed an affinity for the industry while observing his uncle on the job as a technician for Frigidaire in the early 1900s. With the booming cargo ship market that emerged at the end of World War II, Appelt saw an opportunity to provide essential equipment and services to the ships that frequented the harbor. 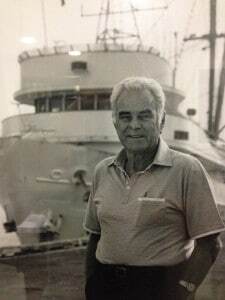 In 1950, Appelt founded Quality Refrigeration in an 800 square foot shared warehouse in Wilmington, California and began to share his valuable experience with the marine industry. With his new company flourishing, Appelt began servicing the many ships that frequented the Port of Los Angeles. He was able to help safeguard against perishable spoilage as well as provide passengers and crew with the comfort of air conditioned quarters. In addition to the port, Wilmington’s close proximity to the Long Beach Naval Shipyard and the San Pedro Bay allowed Appelt to extend his service offerings to a wider audience of cargo ships, tankers, naval ships including troop transports and destroyers, and commercial fishing fleets. By 1958, Quality Refrigeration was so successful that it became necessary to bring on additional staff to help support the growing workload. Sharing the same enthusiasm and dedicated work ethic as Jack Appelt, Richard Webber joined Quality Refrigeration to further the company’s goal of delivering superior air conditioning and refrigeration services to companies across the greater Los Angeles and South Bay regions. Together, Jack Appelt and Richard Webber created a culture of dedicated professionalism and expertise that fostered Quality Refrigeration’s reputation for superior service. As business continued to thrive, the company needed to expand in order to better accommodate the growing enterprise. In the mid-1970s, Quality Refrigeration expanded their operations to a 6,000 square foot facility. By the mid-1990s, the company’s success prompted further growth. After the Navy closed their base in Long Beach and moved their operations to San Diego, Quality Refrigeration responded by staffing an additional facility in San Diego to serve the newly-expanded Navy fleet. 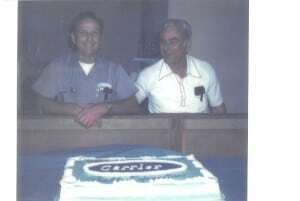 Quality Refrigeration is a third-generation family business. Beginning with Jack and Richard, the company management eventually moved on to their children, Charlotte Hawke Pesusich and Mike Webber. 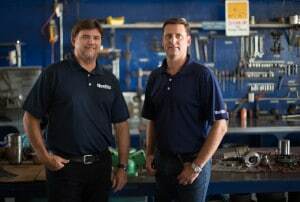 Currently, the business is managed by the third generation – Jeff Hawke and Jason Webber, who serve as President and Vice President, respectively. Hawke and Webber have made it a priority to carry on the fine traditions of hard work, integrity, respect and trust that their grandfathers worked so hard to exhibit in their day to day operations. Quality Refrigeration is dedicated to providing world class HVACR sales and service to a broad array of customers throughout the Southern California area.